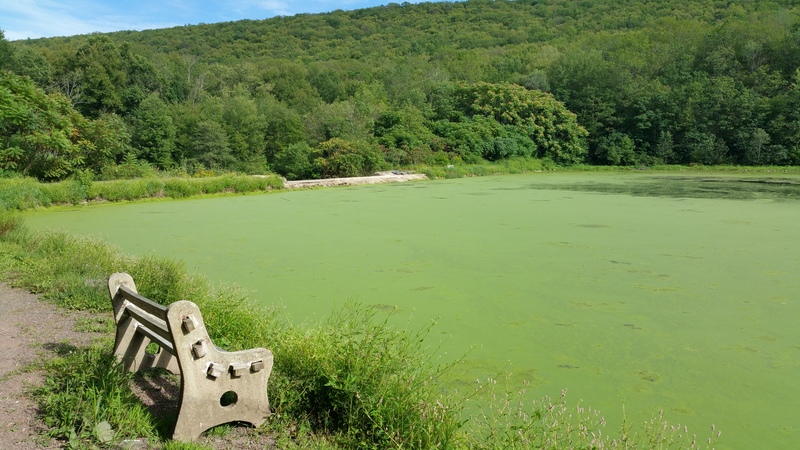 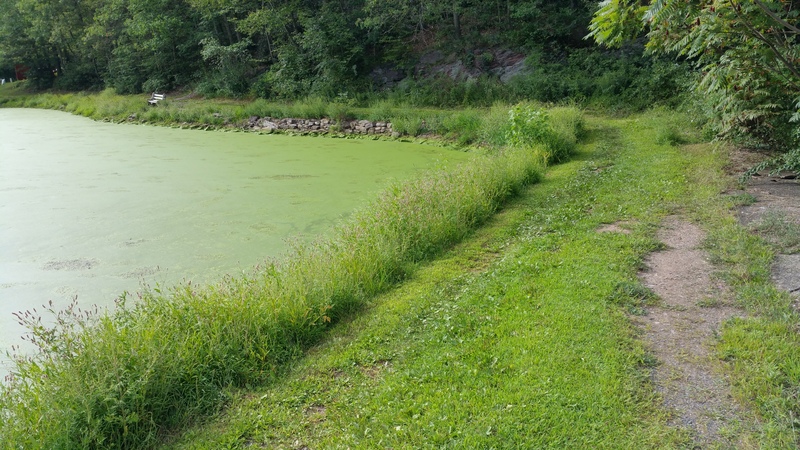 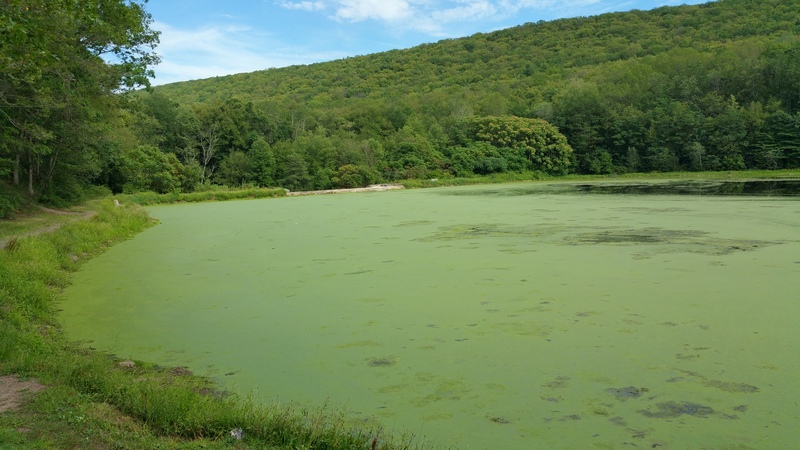 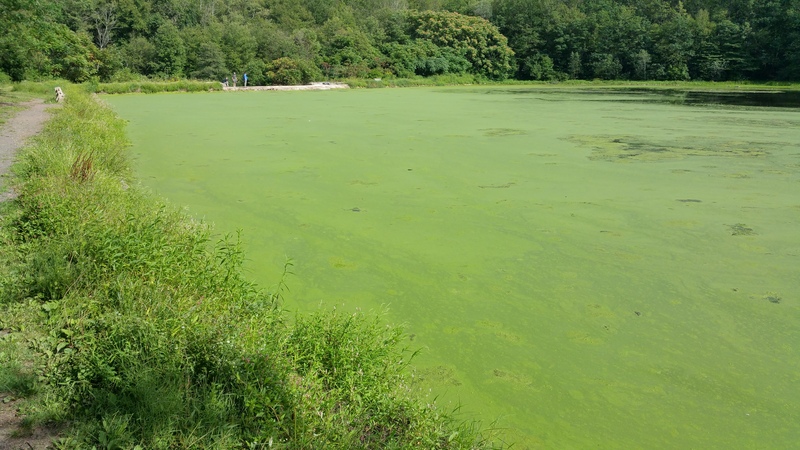 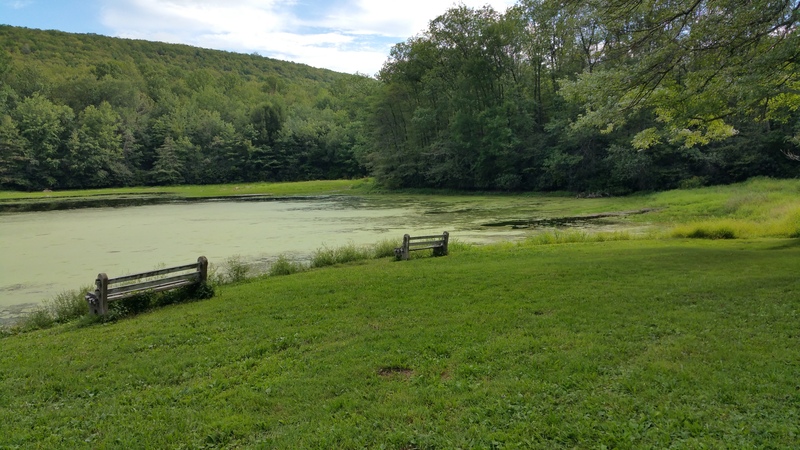 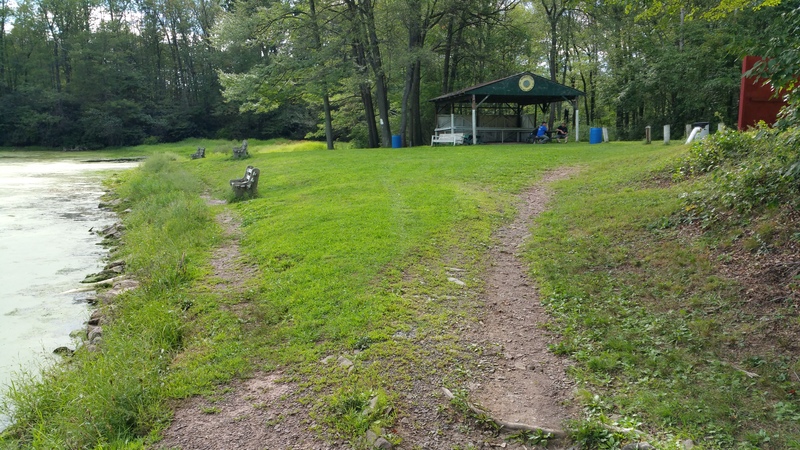 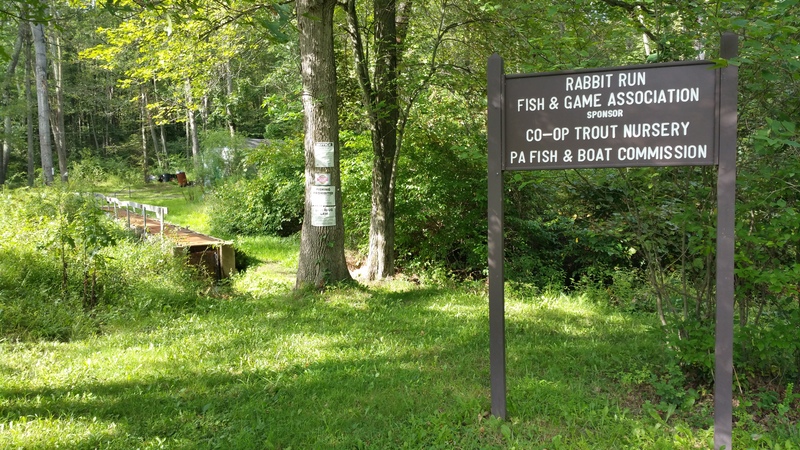 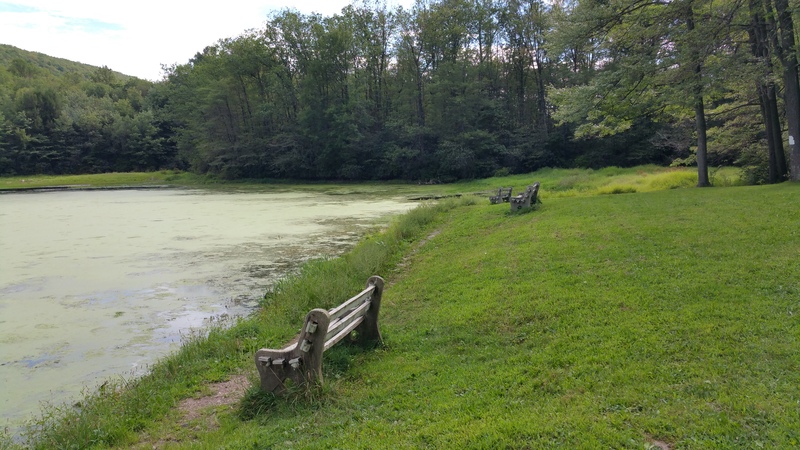 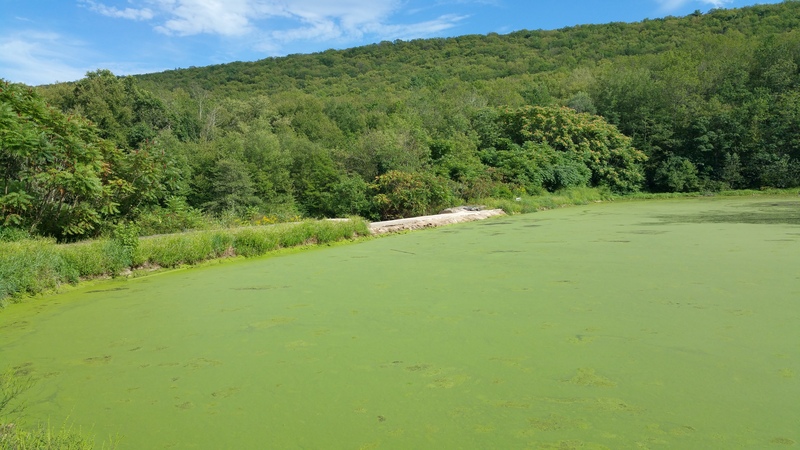 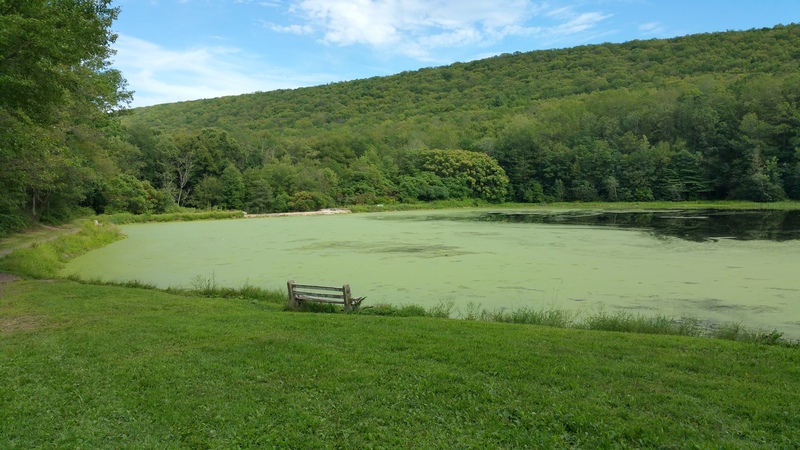 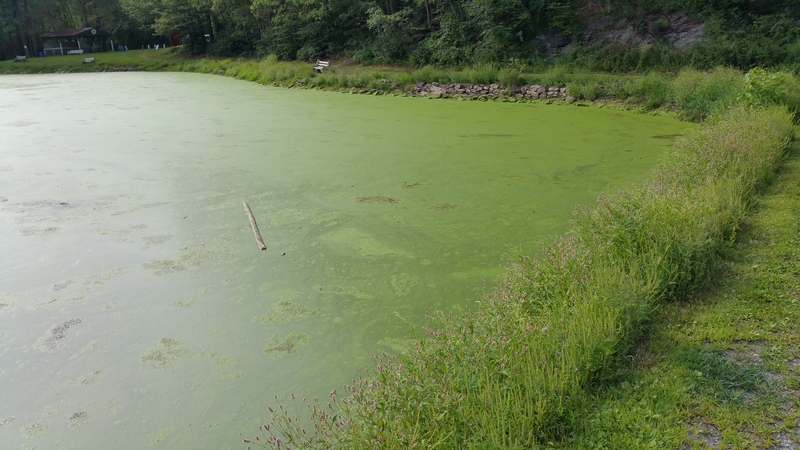 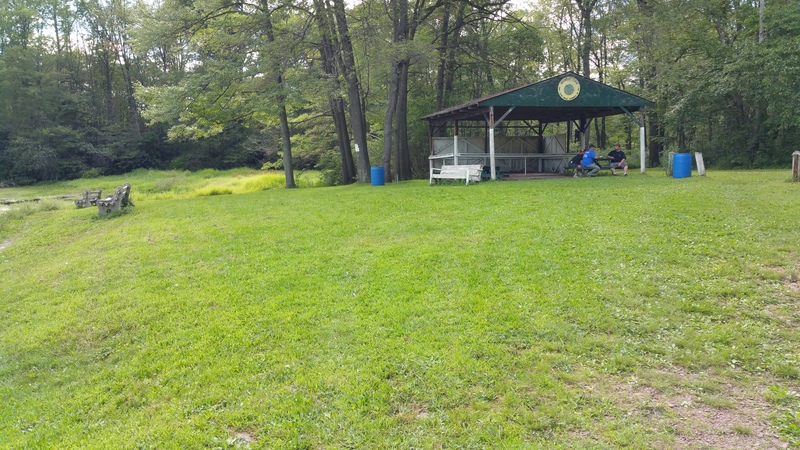 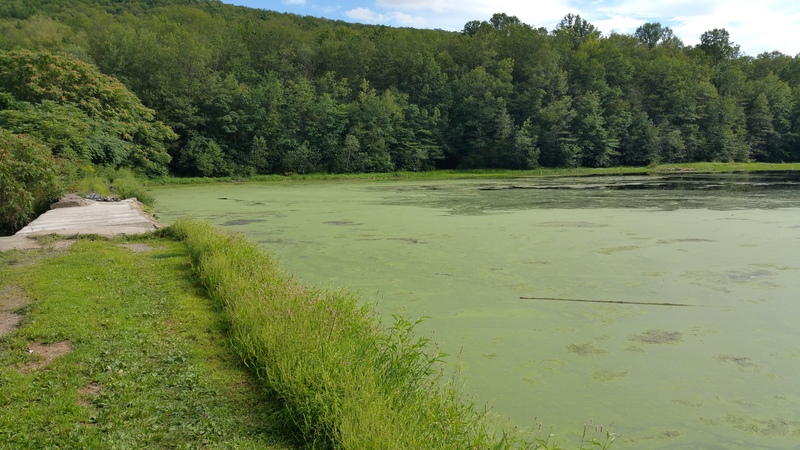 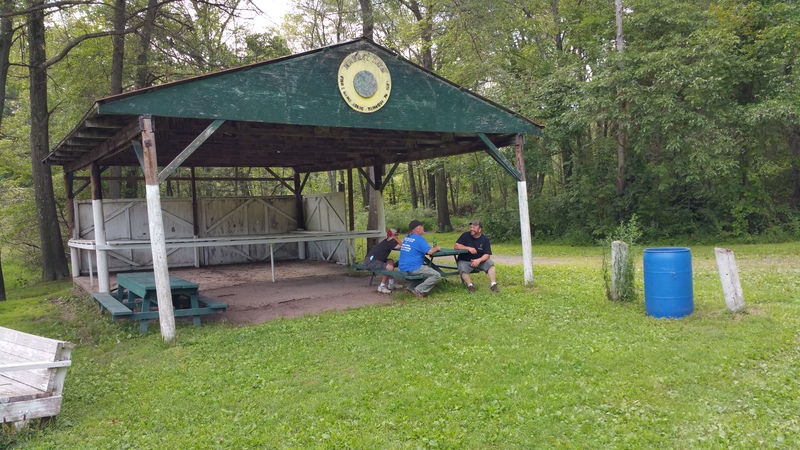 Pictured layered with green algae is Rabbit Run in Walker Township. 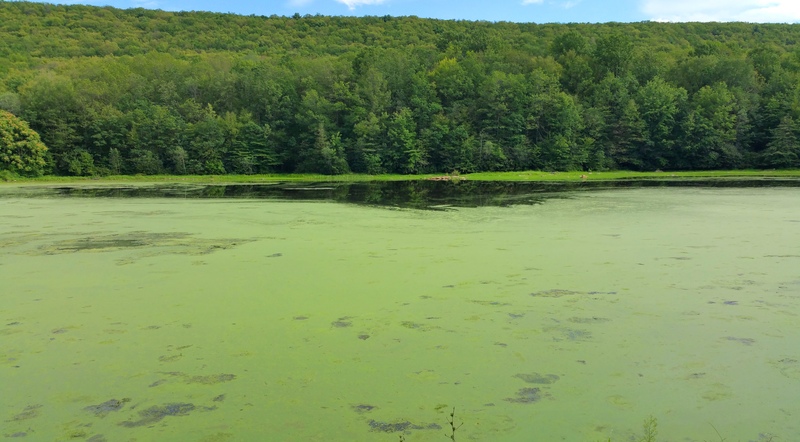 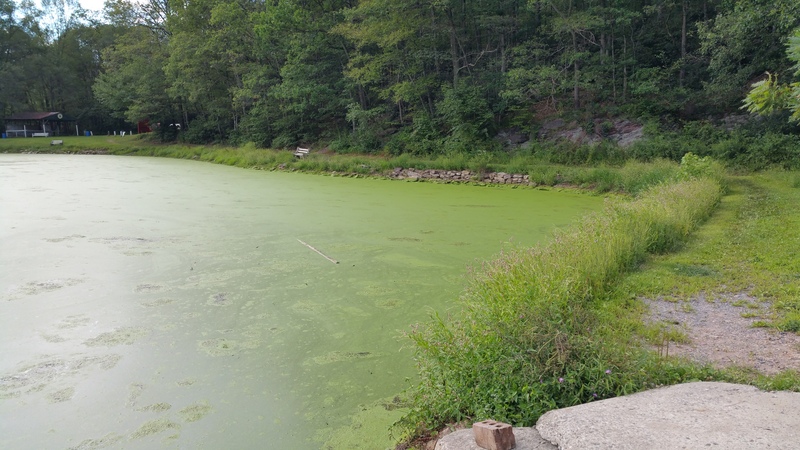 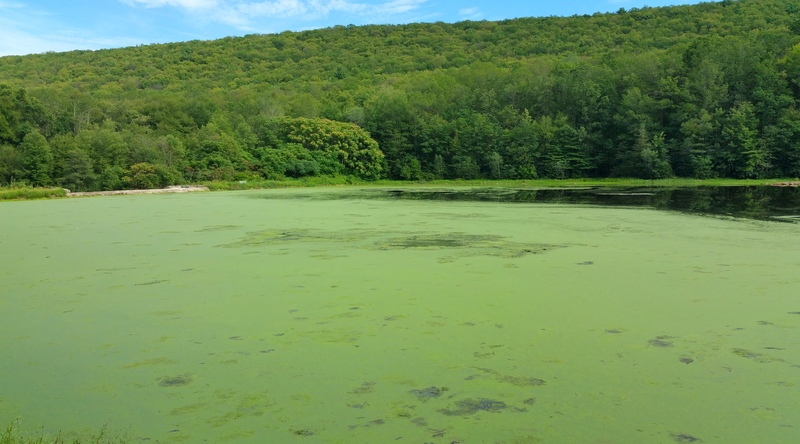 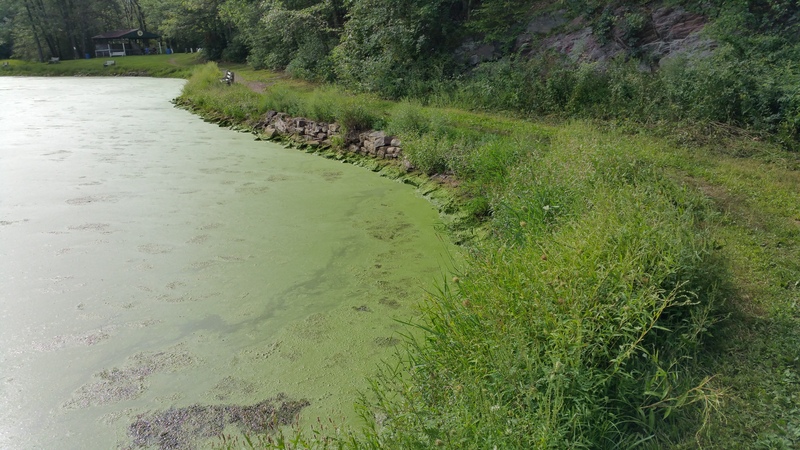 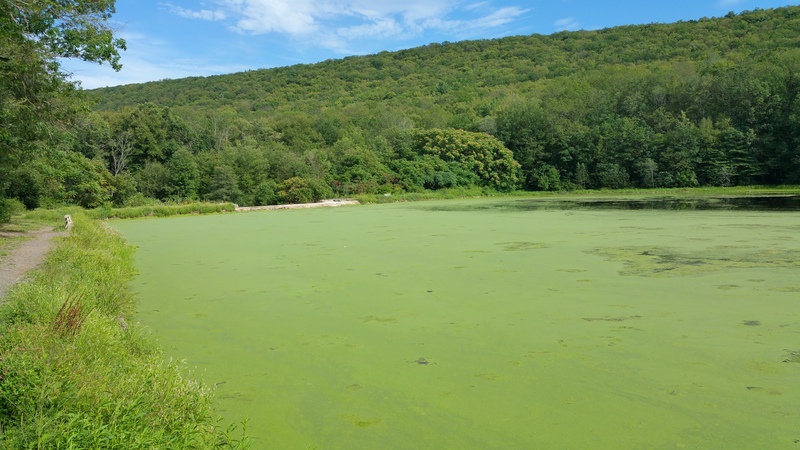 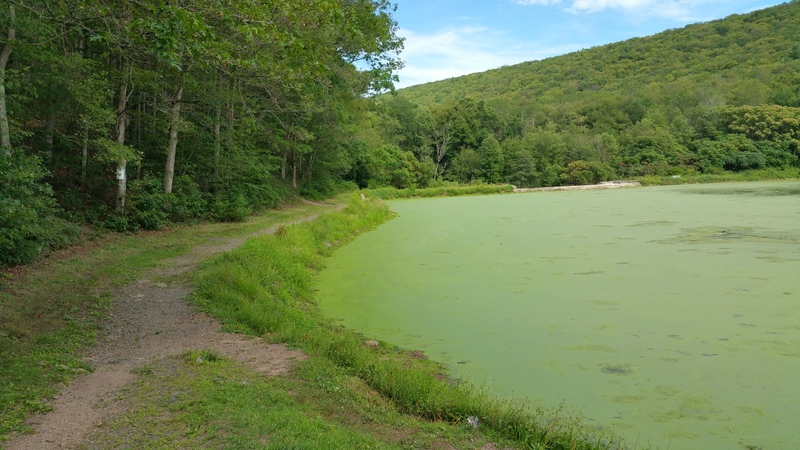 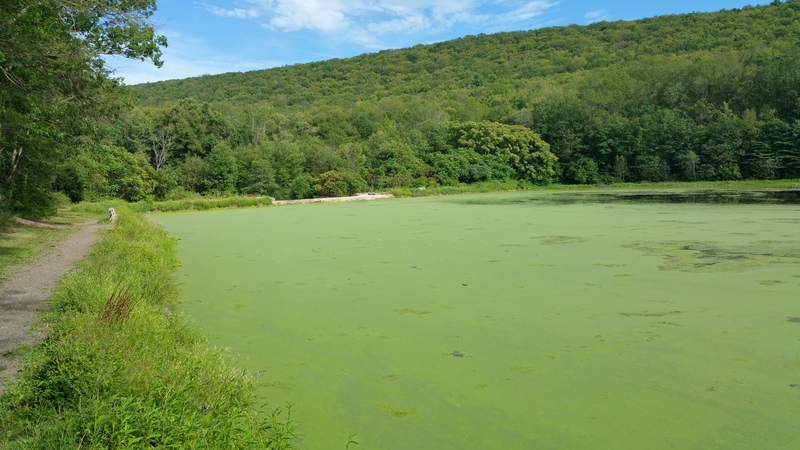 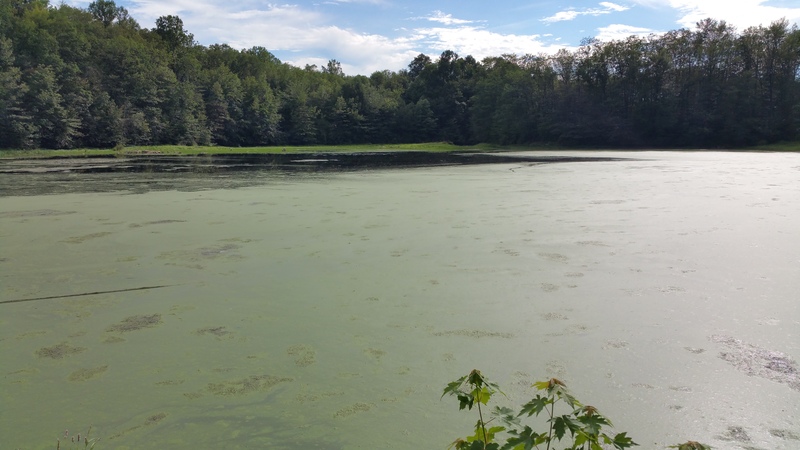 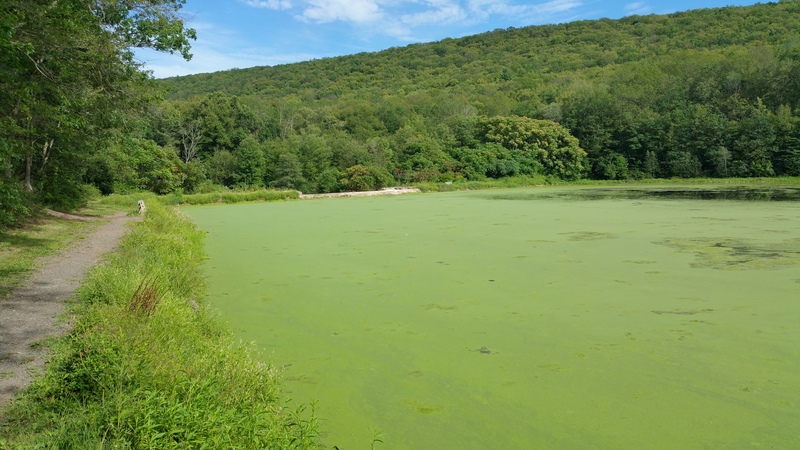 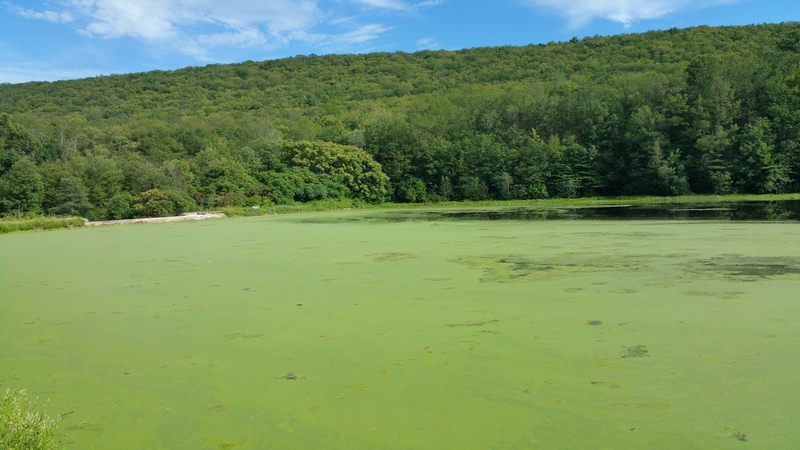 The increase in algae is primarily due to spouts of drier weather, warmer temperatures and slow-moving water. 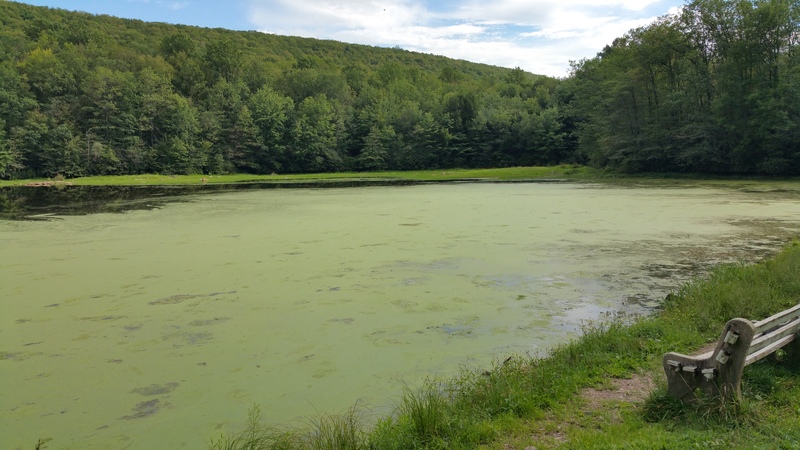 Of course, this means they are usually more concentrated in the summer. 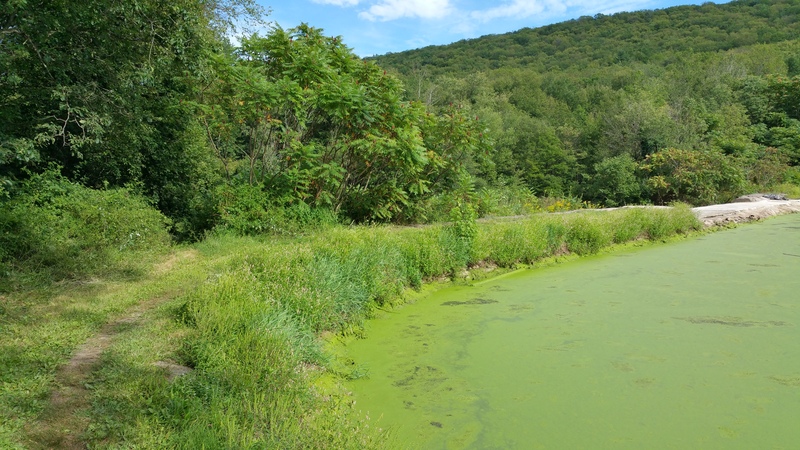 Weaver added that the algae will disappear when the water level rises and crests the spillway, or during the next rain storm.